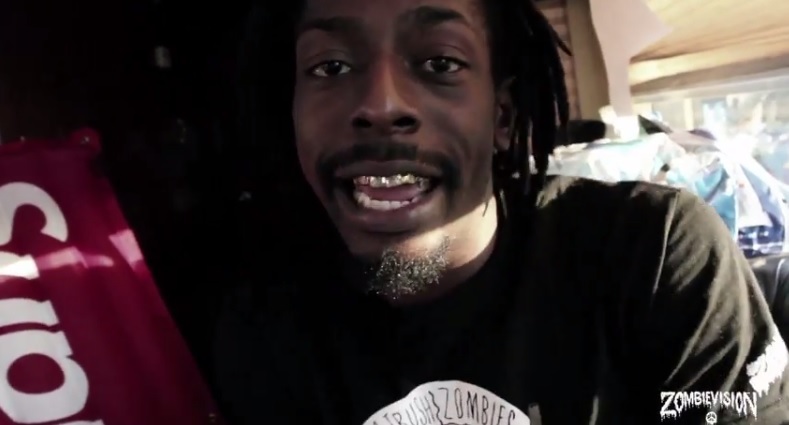 While out on the road with rapper Bodega Bamz, the Flatbush Zombies decide to kick off a lyrical cypher for the camera and showcase their on-the-spot skills. Over a hard-hitting and menacing instrumental, viewers are treated to an impressive freestyle from each artist as they pour up some Hennesy and make their way to their next show. This entry was posted in Miscallenous, Video and tagged better off dead tour, bodega bamz, cypher, flatbush zombies, hip hop, rap, zombie vision. Bookmark the permalink.